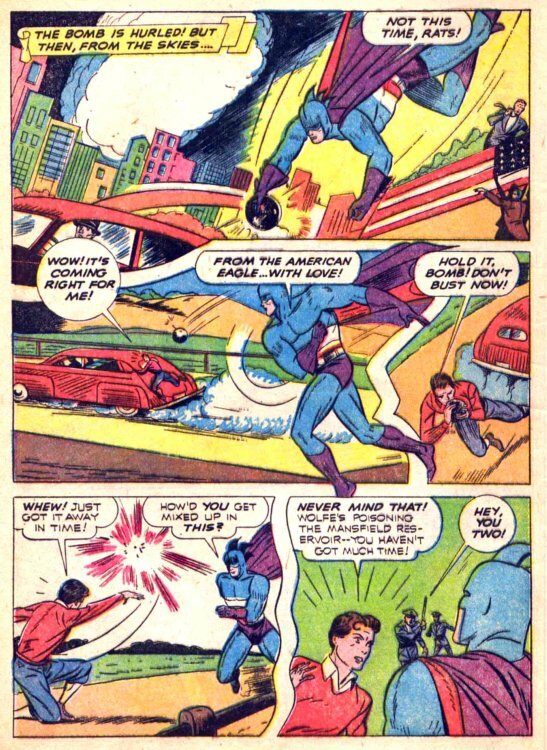 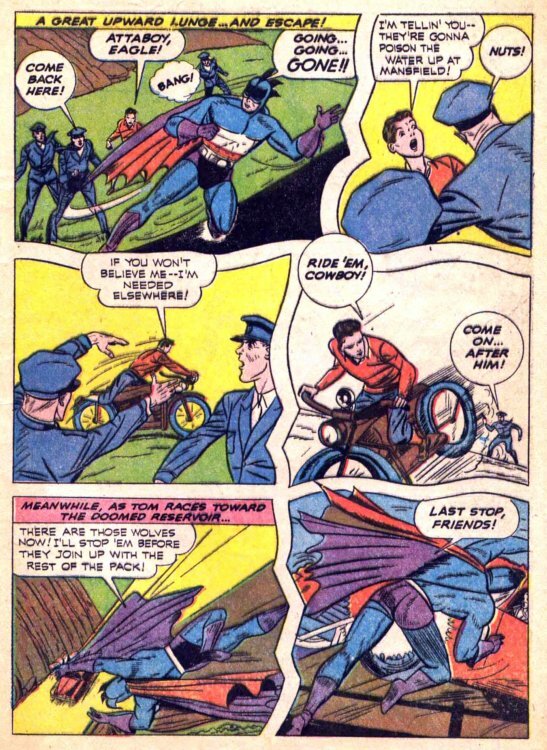 Hero Histories: Reading Room: AMERICAN EAGLE "Whirlwind of Battling Justice"
Reading Room: AMERICAN EAGLE "Whirlwind of Battling Justice"
...including this multi-powered hero who debuted in Nedor's America's Best Comics #2 (1942)! 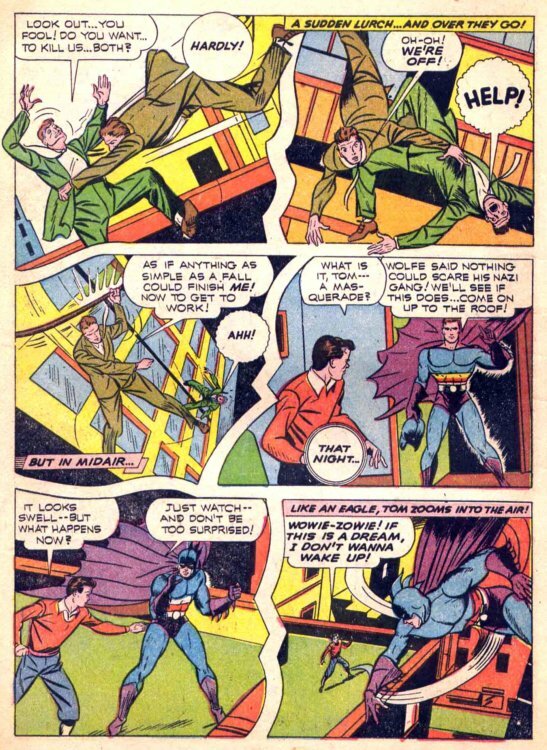 Script for the origin tale by Richard Hughes, art by Kin Platt. 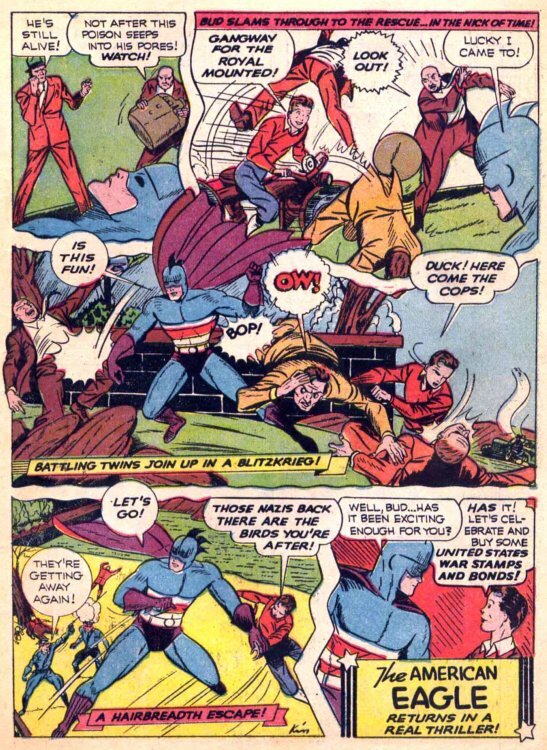 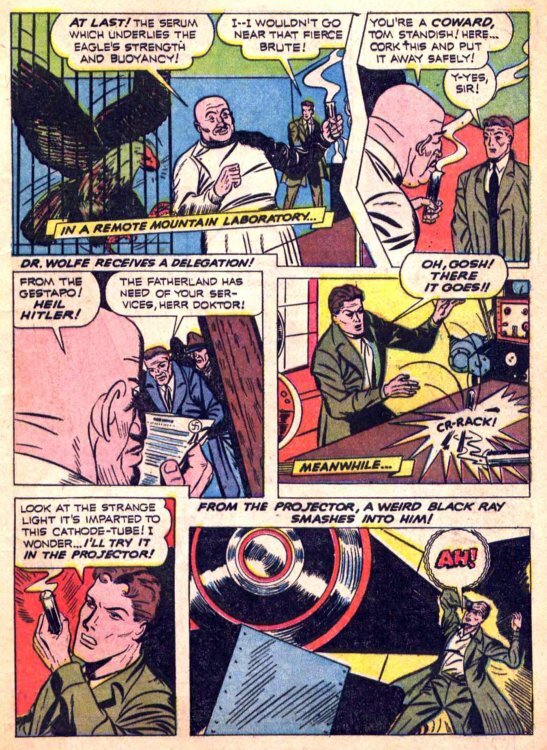 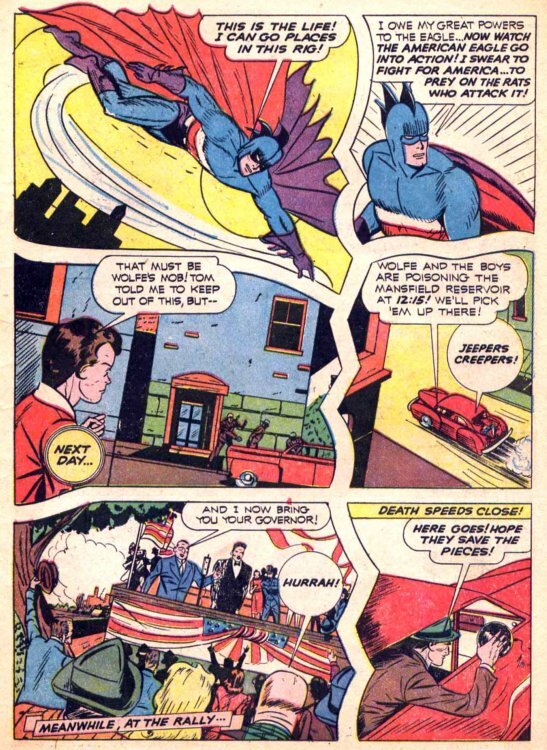 America's Best Comics featured already-existing characters from other titles. 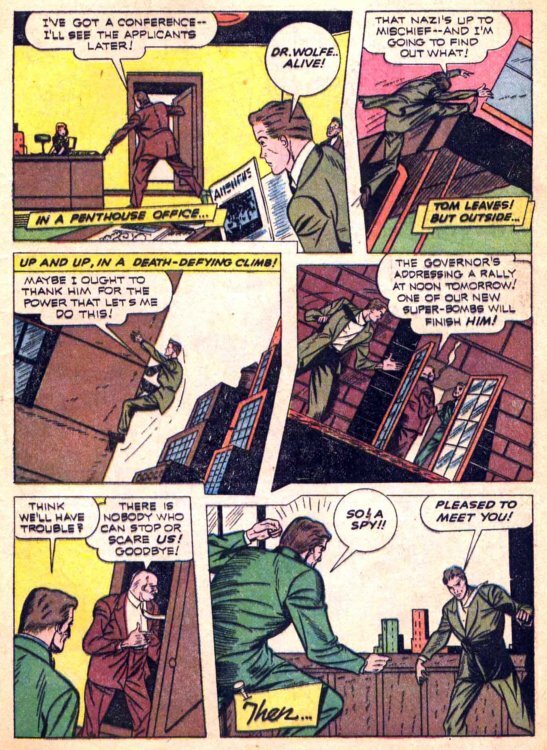 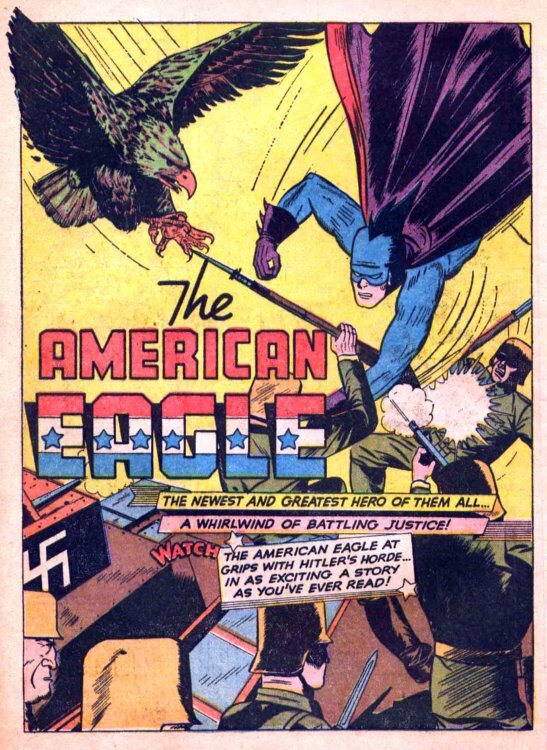 American Eagle is one of only five characters to debut there during its' 31-issue run. 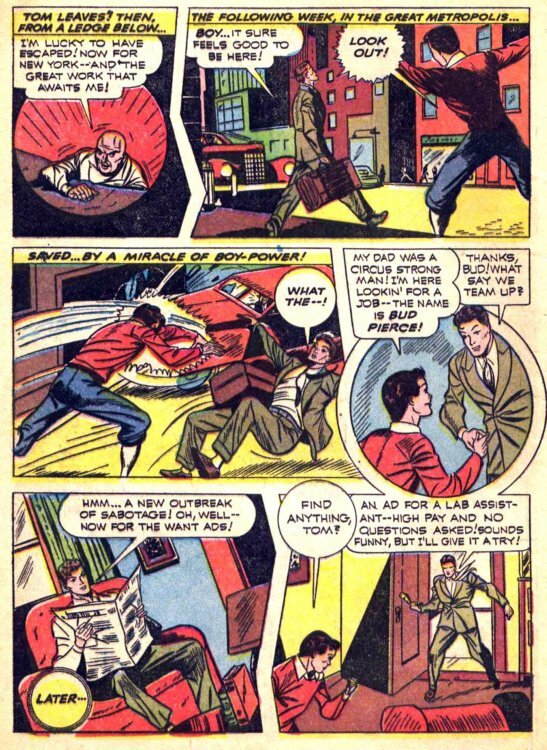 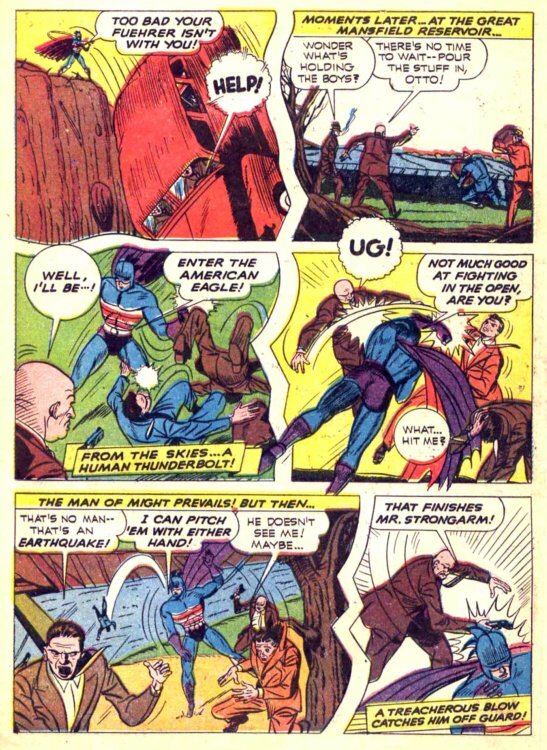 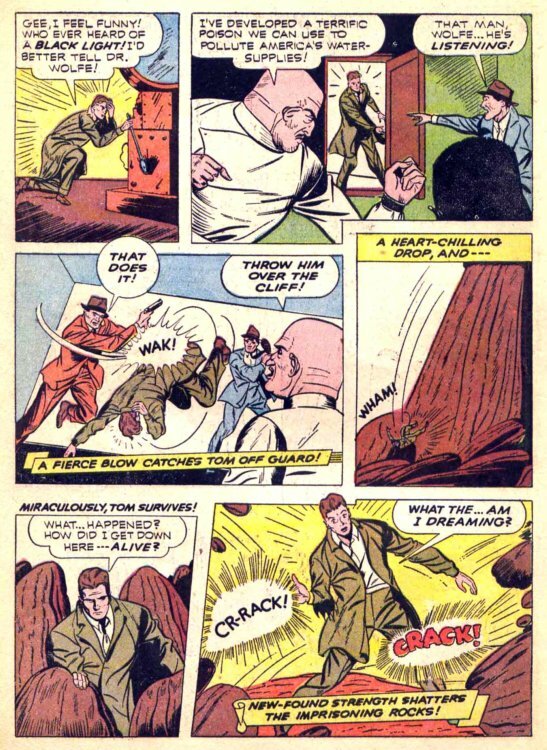 The American Eagle and Eaglet (Bud Pierce's eventual costumed identity) became semi-regular features in both America's Best Comics and Exciting Comics (where American Eagle rotated cover appearances with other strips) and made their final Golden Age appearance in Fighting Yank #18 (1946). 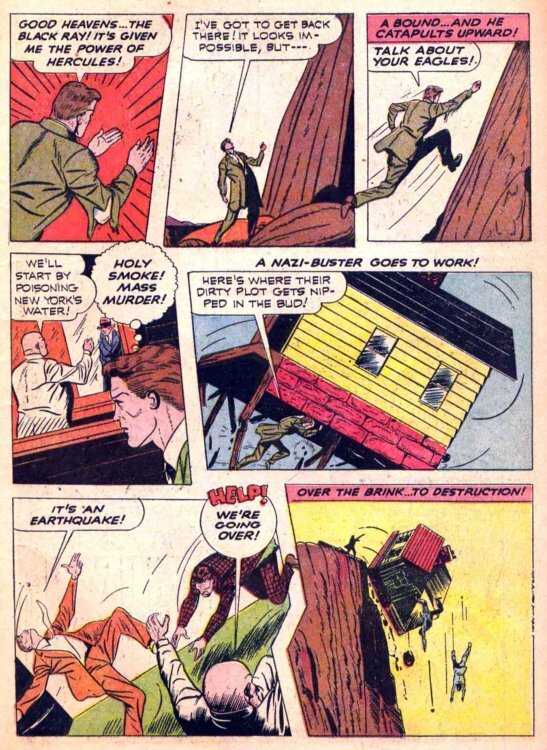 Both Alan Moore's America's Best Comics (no relation to the Golden Age comic book) and Dynamite Entertainment's Project SuperPowers have recently-revived the character in startlingly-different plotlines.